Our government security services provide York’s government assets with a superior level of security and protection. Whether you require security services for a federal, state, or municipal institution, Signal 88 of York will deliver with a customized security plan designed for your needs. 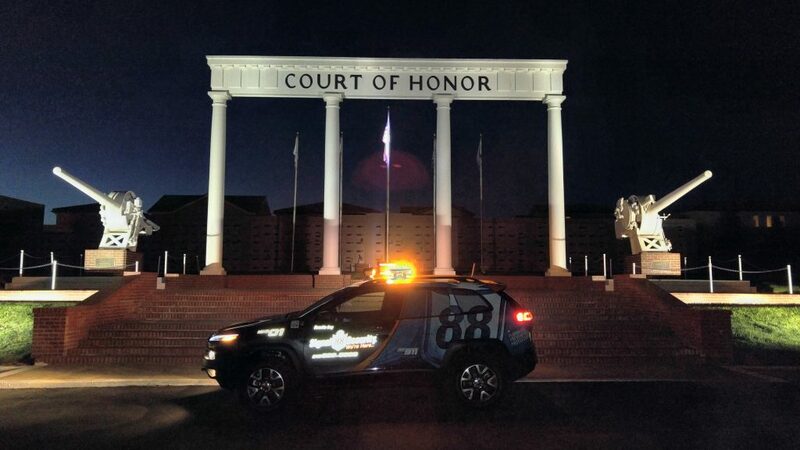 Signal 88 of York provides government security services in York Lancaster, Harrisburg, Carlisle, Shippensburg, Gettysburg, and the surrounding areas. Signal 88 of York offers the customized security solutions that government assets need. Our focus on customized security plans and solutions allows us to effectively meet the security needs governmental institutions in York and the surrounding areas. At the outset, we provide every client with a rigorous assessment of their security needs, concerns, and site risks. We then create a custom security plan that is designed to meet those needs in the most effective manner possible. Our government security services include roving patrols and dedicated security. Roving patrol services provide your site or sites with highly visible, randomized patrols, while dedicated security will provide your site with security staff for dedicated posts and foot patrols. For sites with advanced security needs, we are also able to provide a mix of roving patrol and dedicated security staff. Signal 88 of York offers government security for all levels of government including federal, state, and municipal institutions. Security services can be provided for government facilities, government events, and other specialized security needs. Why Signal 88 of York? Signal 88 of York is uniquely suited to serve the security needs of government institutions. We are led by Sal DeRose, an expert in security systems and assessments, and a US Army veteran. As a veteran-owned agency, we pride ourselves on the discipline, experience, and dedication to detail that distinguishes the very best security providers. We also offer the staff and technology needed for your peace of mind. Government security from Signal 88 of York is provided by a highly trained team of security experts and professionals, including former law enforcement officers. Our security services are backed by 88 Edge® technology, which gives us unparalleled precision and responsiveness in planning and delivering our services. Learn more about government security services from Signal 88 of York by contacting our office today. Call (717) 686-9588 for your free consultation.